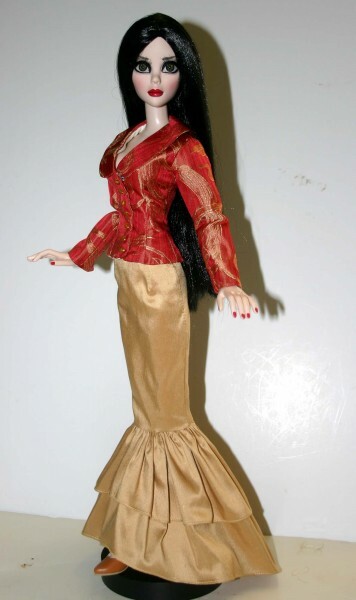 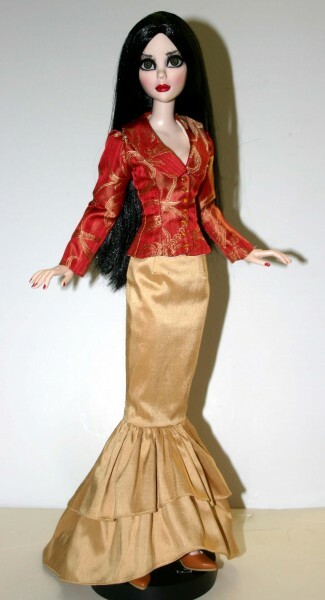 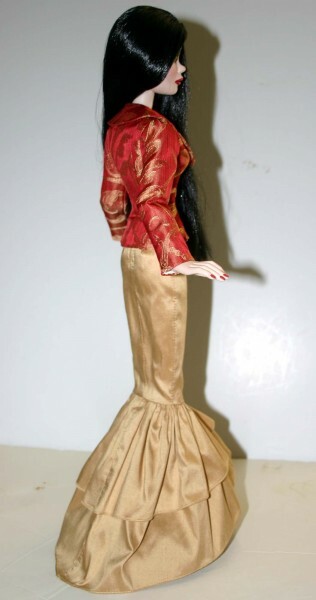 Up for consideration is Continental Evening, a clothing pattern for18.25" Evangeline Ghastly Dolls. 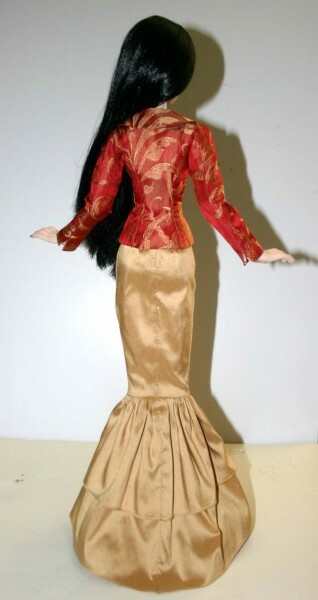 The pattern features a lined floor length skirt with double ruffle and a zipper back closure and a fully lined jacket with wide collar and long sleeves with vents. 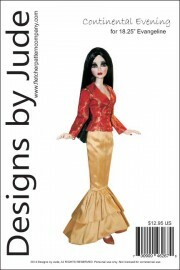 A similar design is also available for Ellowyne and Tyler dolls. The PDF version prints on A4 and 8 1/2 x 14 legal size paper.